If you have convinced yourself already that you are getting permanent makeup, then this is for you. It can get overwhelming when you Google permanent makeup and see hundreds and hundreds of services promising full lips, natural eyebrows, permanent eyeliner, and all. But if you are dreaming of just getting that natural full face makeup, that can get pretty much confusing. You start to think where to start and then decide that you will just do your cosmetic tattoo research next week, then reschedule again to the next only to find yourself constantly delaying your appointment. Well I am here to tell you to fret not. This is your ultimate guide if you want that natural full made face you can wear to work without actually doing anything on a regular basis. Okay first things first. Decide where you want to have your face made up. This is very important as this can determine how your permanent makeup will turn out to be. For me, organic makeup ink is the way to go. And there is actually a salon that offers this as an alternative to that iron oxide rich permanent ink that most other salons in Los Angeles offers. To review a bit, iron oxide is the ingredient in most permanent inks that makes the color change into that greenish or bluish color that we commonly see in old tattoos. Because of this, I am convinced that natural ink made from plant derived ingredients is that safest and best bet in choosing the ink that I will have on my face for a very long time. Organic Permanent Makeup Salon offers top quality premium pigments that uses all natural and organic ingredients that stays in its true original color. OPM’s ink offers a wide variety of colors that will suit every skin tone without the worry of having it fade or change shade over time. In fact, OPM’s ink is the only US patent organic pigment in the market today. To top it all off, they have even designed the first and only magnetic PMU device that penetrates in the superficial layer of the skin causing minimal to no pain; no bleeding, bruising, or any other trauma. Now that we know the full clear choice where to get our permanent makeup done, we now go as to what we should do to our face first. Consider your face a blank canvass. I know faces are all unique and beautiful but for this one, let’s imagine our face to be blank. And what else to put first than frames? They are eyebrows of course! Eyebrows with a full natural looking shape is the way to go. The permanent makeup service for eyebrows is called microblading. OPM salon offers a service the call 3D microblading wherein a well trained eyebrow designer draws in individual natural looking hairs in the eyebrow area. This technique of carefully drawing the hairs one by one assures you that you have a natural looking set of fake eyebrows. Now that we have covered that, we go a little bit down. Our eyes are the windows to our souls they say, and what better way to look through those peepers than have a dashing window pane? Permanent eyeliners are pretty self-explanatory. This kind of cosmetic tattoo are highly customizable depending on how you want your eyes to look, i.e., bring out your natural eye color, have a deeper set of eyes, etc. However, some opt for a more natural defined look. This is where OPM’s eyelash enhancement service comes in. Eyelash enhancement is a fantastic treatment by OPM that naturally enhances the eye area without that eyeliner look. 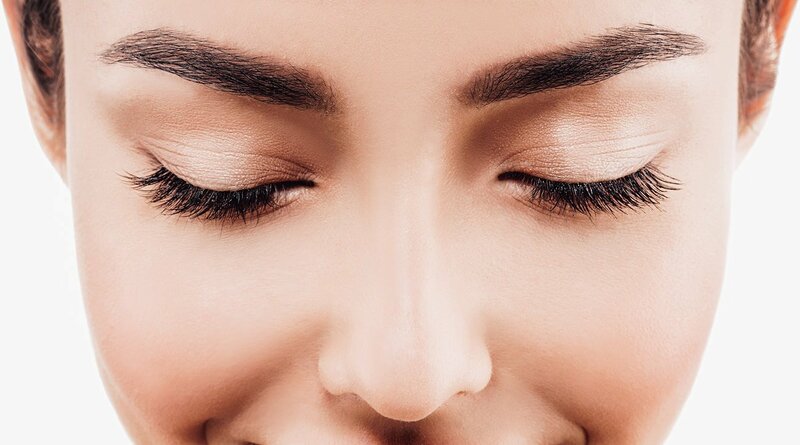 This service gives your eyes that extra definition by having an artist draw fine dots of pigment to your lash area to give the illusion of lashes that are thicker and darker. You won’t find any other salon today that makes your eyes look naturally defined and uses a pigment that is a 100% safe for you. As we finish the eye area, we now go to the lips. Lip liner tattoos are increasing in popularity nowadays as it gives the illusion of a fuller lip. However, many salons typically just line the lips with the traditional zinc oxide ink that changes color over time. That is why OPM started offering the lip contouring service. It’s a great alternative to the traditional lip tattoo as the artist assigned to you contours your lip to create a natural and poutier look. OPM’s lip contouring service balances uneven lip and corrects uneven lip color too. So if you’re not the gal who wants that full pout, then you could just have your lips look the best they can be, minus the lipstick! Having permanent makeup shouldn’t be hard and confusing. Just always be knowledgeable about the service you are getting and ensure that you are getting the best. Always know your options, and opt for the safest and most natural solution you can get. We hope we have been helpful in your search for the perfect permanent makeup service and wish you nothing but the best of outcome.